FARMINGTON - Love knows no age. Today some 100 people, residents and guests, celebrated this day of love, Valentine’s Day, at the historic Pierce House on 204 Main Street. Residents were decked out in their best pinks and reds and accompanied by family members and other guests, surrounded by tulips of the all color and festive decorations. The cuisine for the luncheon is always scrumptious: Quiche Loraine, lobster, tuna, and vegetable rolls, lots of fruit, and beautifully decorated Valentine cupcakes. As always, members of “The Friends of the Pierce House,” such as Jill Flint Perry and her sister Judy shown in the photo, cheerfully hosted the luncheon helping out the regular staff. Jane Knox played for background the music of the young playful Mozart and the romantic waltzes of Chopin. 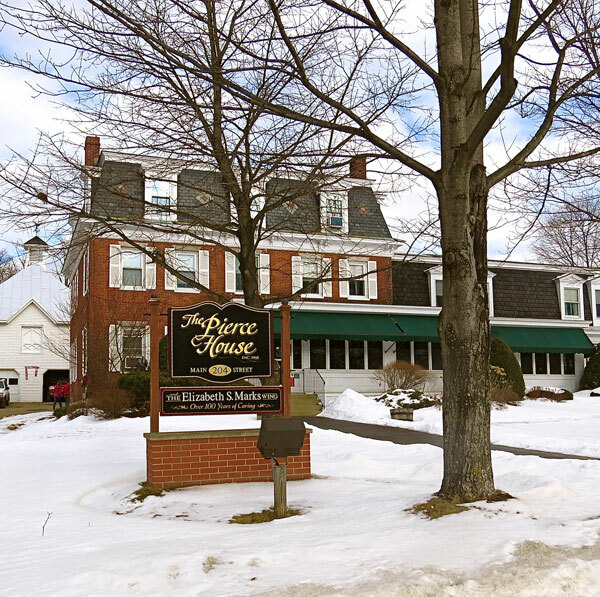 The Pierce house is known for its home-like, caring and friendly atmosphere. Many of the women are long standing residents of the Pierce House and have represented a vanguard of enlightened progressive women for the Farmington area. Many of them were teachers, the job most open to them: Kay Mills, Elizabeth Knox, Pat Davison, and Martha Wasgatt (Professor of Economics at the University of Maine at Farmington) among others, while Leona Cross was a entrepreneur, running a restaurant on Route 27. The Pierce House has a special historic presence on Main Street that has deep roots in the past century. Originally built by Robert Goodenow, it became The Farmington Home for Aged People (FHP) when it was incorporated by a special act of the legislature on March 7, 1905 when Governor William signed the charter. 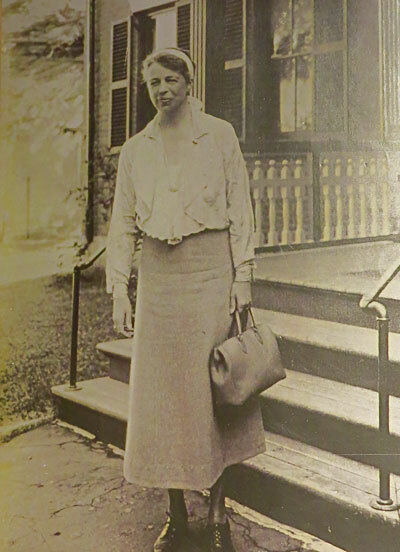 In 1933, Eleanor Roosevelt paid a visit to the Pierce House while staying at the historic Old Exchange Hotel across the street, where the Franklin Savings Bank now stands, on her way to Rangeley to visit her husband at the Black Bear Camps on one of his hunting trips. 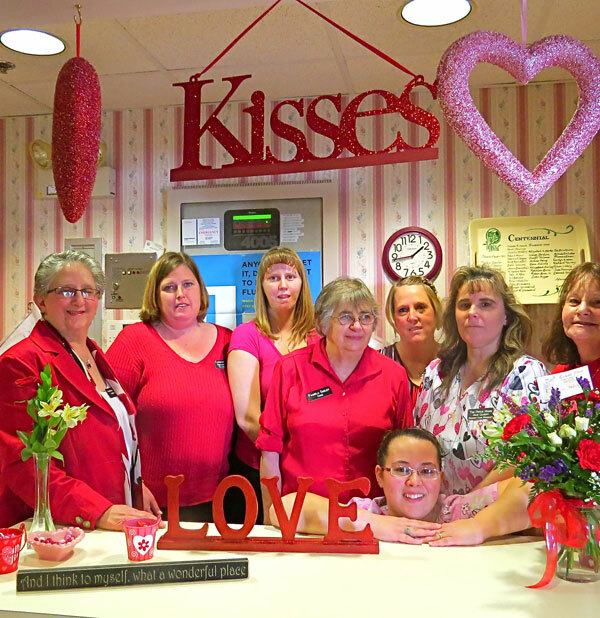 The Pierce House staff with today's festive traditional pink and red Valentine decorations. From left to right Darlene Mooar, Administrator; Carmen Burke, Residential Care Coordinator; Heather Remick, Activity Director; Pammie Smilies, Head Cook; Tracey Pease, Residential Care Specialist; Julie Gilbert, Residential Care Specialist; Pam Hodge, Assistant Administrator. In front Kaylie Lovejoy, Residential Care Specialist. Farmington is so fortunate to have such a great gem in the middle of town, filled with incredible staff, led by a loving leader (Darlene), and supported by the community. Great to see Leona, Judy, and Jill!